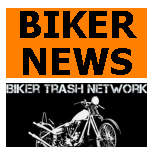 Biker Trash Network • Outlaw Biker News : Rebels MC killing their own? Sydney, Australia (June 4, 2016) Rebels MC member Michael Davey was known as the Prince of Penrith, a title that earned him the praise of friends and fellow bikers alike. But it appears this sense of brotherhood may have faltered in his final hours: police are investigating whether his comrades were behind his execution. 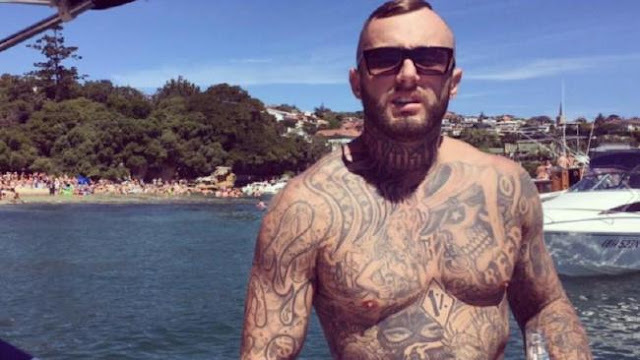 Mr Davey – nicknamed Ruthless – was gunned down on home turf in Sydney's west on March 30. The 30 year old had been a stone's throw from the home he shared with his girlfriend in Stafford Street, Kingswood, when someone opened fire. 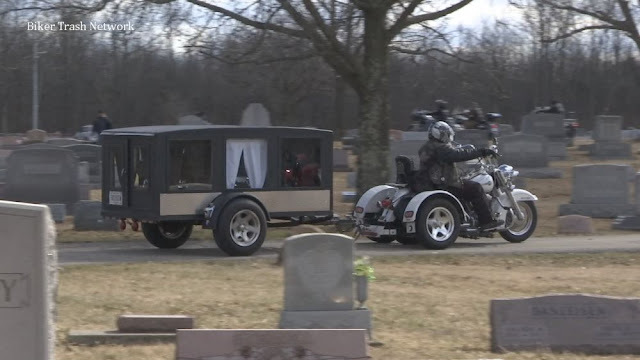 He had been a well-known member of the Rebels MC, members of which flocked in droves to pay their respects at his funeral. Davey had been on the police radar since his late teens and was facing trial for drug supply when he was killed. Tattoos across his body pledged an allegiance to the club but Fairfax Media understands Mr Davey wanted to leave. Homicide detectives are looking closely at a few potential motives for his death, including that Mr Davey was shot and killed under direction from his own club when he wanted to patch out. However, police can't discount the possibility that a conflict between the Finks and Rebels motorcycle clubs in the city's north-west, or a disagreement stemming had something to do with his death. 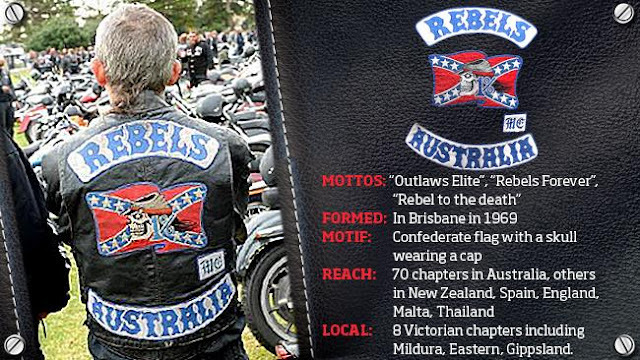 Sources say he was close to Mark Easter, who held a level of seniority as sergeant at arms of the Rebels Sydney chapter. Easter was executed nine months before his younger brother. Both men left behind young sons, whom friends say they cared for. While the killings are thought to be unrelated, it is understood police believe Easter's murder was plotted from within the club after he put someone "off side". Easter, remembered by friends as a "loving father and honest man", left his Little Bay home after having dinner with his partner Biancha Simpson in June 2015, and was not seen alive again. Investigators say there wasn't anything out of the ordinary about him leaving the house that night, but they believe he was killed shortly afterwards. His body was dumped a few days later just off the Pacific Highway at Cowan, north of Sydney. Police believe Easter's murderer didn't act alone. "He is a fair-sized man and in order to dump his body, it would have required more than one person," Homicide Squad Detective Chief Inspector David Laidlaw said in April. The club has been plagued by internal conflicts and patch outs ever since their national leader, Alex Vella, was left exiled in Malta when his Australian visa was cancelled.